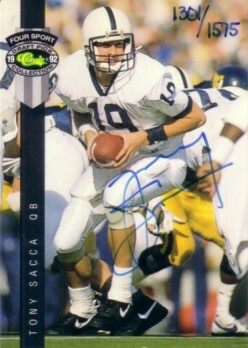 1992 Classic Four Sport certified autograph card of former Penn State star quarterback Tony Sacca. Numbered out of 1575 produced. NrMt-Mt or better. ONLY ONE AVAILABLE FOR SALE.